Gov. 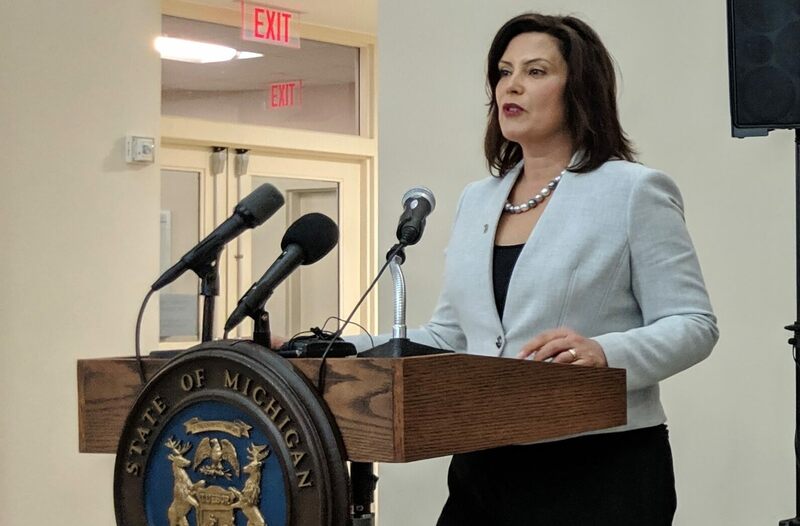 Gretchen Whitmer is reconsidering the expansion of a state-run adult psychiatric hospital in Caro in Michigan’s Thumb. The decision to build these psychiatric beds in a Republican area by a Republican former governor, Rick Snyder, and a Republican-led Legislature was a good one — if the end game was jobs and economic development for a struggling community. However, the policy goal should be providing care as close as possible to the communities in which those with mental illness and their families reside. To be clear, there is a need for high-quality public psychiatric beds for people with serious mental illnesses across the state. Those hospital beds should be accessible to those in need of care and those who support them. Caro does not fit this criteria. I believe that building a new psychiatric hospital as a rural jobs and economic development project is a disservice to people with serious mental illness and their families. There is a desperate need for adult psychiatric beds across the state. It is a crisis in the metro Detroit area and Northern Michigan. Finding a hospital bed for a person with a serious mental illness is like your name is Mary or Joseph and it just happens to be December 24th. When the discussion was being held to expand state hospital beds for persons with serious mental illnesses, I served as the president and CEO of Michigan’s largest public community mental health organization, the Detroit-Wayne Mental Health Agency. I objected to the decision to expand beds in Caro. I argued the new beds were desperately needed in the metro area. I am concerned about helping rural communities keep pace economically, especially considering how they tend to fall behind in the 21st century knowledge economy. But it is simply bad public policy to use some of our most vulnerable citizens and their families as economic development and job pawns to do so. Clearly, this decision was not made with the best interest of the behavioral health needs of Michigan in mind. It was about power, control and politics. Professionals in the mental health field, consumers and advocates have applauded Whitmer for pausing development. But given the state’s history of betraying this vulnerable community there is also apprehension, as well as an expectation that their voices will be listened to in the future. Kevin Fischer, president and CEO of NAMI-MI, the state affiliate of the National Alliance for Mental Illness, said, “There is a crisis in the ability to find psychiatric beds across Michigan, and it makes little sense, other than for purely political considerations, to concentrate all the new psychiatric beds in one isolated area of the state where it also has proven to be a difficult place to attract and retain behavioral health professionals. While Whitmer and Department of Health and Human Services are focused on the issue of mental health, they may want to hold accountable local hospitals that receive public resources to serve people with serious mental health needs. Many of those hospitals are skirting their responsibility to serve those with serious and chronic mental health issues in their communities. Michigan’s mental health is too important to be used as a political or economic football. The state needs to get serious about using all the tools at its disposal: Certificate of Need process, licensing, revoking tax-exempt status from nonprofit hospitals not serving the public need, and invoking other significant financial penalties to force hospitals to meet their public obligations. The needs of those with serious mental illnesses have long been neglected in Michigan, and should be prioritized as policy-makers decide how to best use limited public resources. The change in direction would be refreshing. This is so true! We need to have support and services in areas where people live and their families live. How can people liveina rrural area engage those that are around them so far away? Detroit,GrandRpids, Oakland county all need this. Why take away support and then expect to be part of their community when they are receiving treatment in a rural setting? Great article Tom!! !